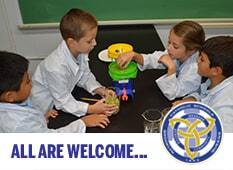 Welcome and thank you for your interest in Catholic education in Brooklyn and Queens. Catholic school and academy communities within the Diocese of Brooklyn educate nearly 45,000 students in Brooklyn and Queens, from early childhood through high school. We are proud to carry on a tradition of academic excellence rooted in the teachings of the Catholic Church. The Mission of Catholic education within the Diocese of Brooklyn is to form children in the knowledge and love of Jesus Christ as celebrated in the Catholic Church, while providing a comprehensive academic education that will help them reach their full human potential and contribute to the common good of our nation and the world. The apostolic work of Catholic education for school-aged children has existed and been strongly supported within the Diocese of Brooklyn for more than one-hundred and fifty years. This ministry of providing strong formation in the Catholic faith to the children of immigrants and their succeeding generations continues to this present day. The Preserving the Vision Strategic Plan for Catholic Education Within the Diocese of Brooklyn has provided, and will continue to do so, the blueprint for ensuring the quality and success for comprehensive religious and academic education for the children of all parents who choose it for them. From its inception, the primary focus of Preserving the Vision has been to provide affordable, accessible and available education while strengthening the long-term viability and sustainability of academies and schools within the Diocese and ensuring their religious and academic foundations for the students. This mission will continue as will the guidance provided by the Essential Elements, Goals and Strategies found in Preserving the Vision 2017-2020 as inspired by strong and dedicated Diocesan and local leadership.